Hey everyone! Hope you're all having a lovely weekend. I've had quite a busy weekend so far and we're off to Chester today to go the zoo and do a bit of shopping so another busy day ahead. Whilst I'm waiting for my boyfriend to be ready I thought I'd write a quick blog post as I haven't had much of a chance recently. 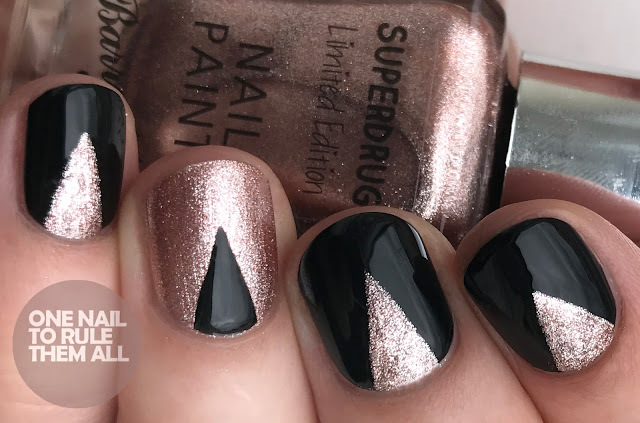 I created these rose gold geometric nails a couple of weeks ago whilst I was playing around with the gorgeous autumn releases from Barry M. Their recent Molten Metals collection from a few months ago contained a copper shade which was close enough to rose gold that I thought that they wouldn't possibly create anything closer. 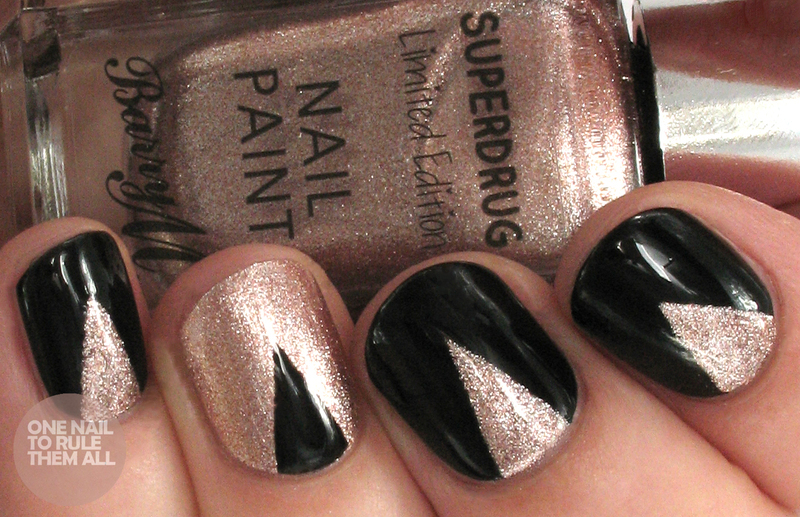 Well I was wrong, their newest releases include Twinkle Twinkle*, a limited edition polish especially for Superdrug. You'll know how much I love creating nail art with rose gold if you've been followers of my blog for a while, so of course I had to do something with this. I wasn't really sure where I was heading when I started these nails, but I just went with the flow and I really liked the end result. I love these Barry M colours together & your lines are so neat. I really hope you had a nice time & its always so lovely to see your posts pop up. 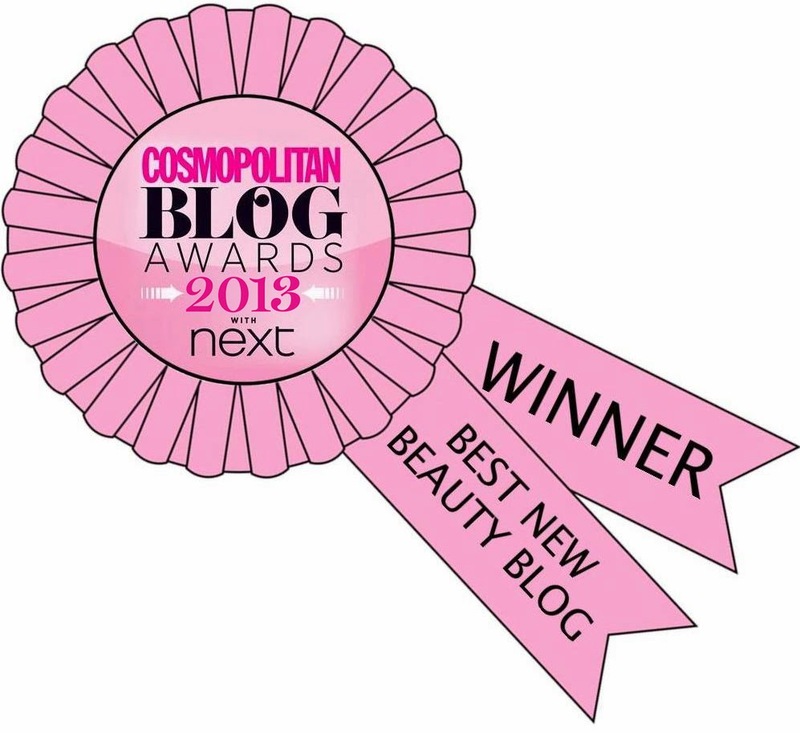 Oh, just beautiful! 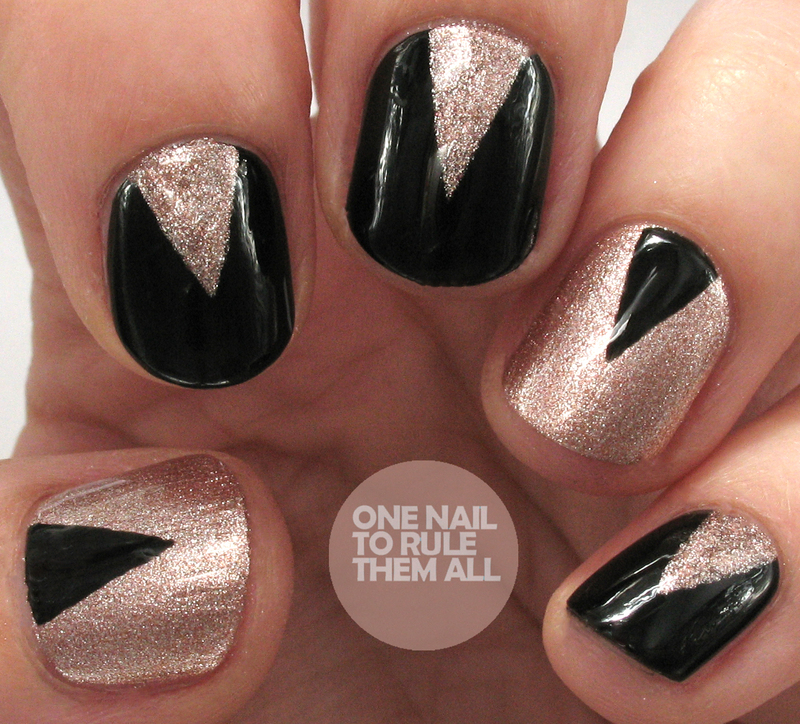 They are simple, but very elegant and sophisticated :) Rose gold and black combo is always for the win. Cannot go wrong pairing these two color. Thank you for sharing this beautiful mani with us. Love these so much Alice! That rose gold shade is to die for. Hope you had fun at the zoo! Perfect combo of colors, simple and gorgeous!